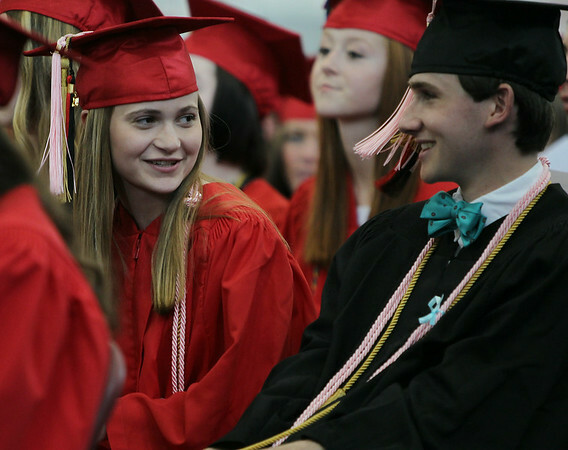 Marblehead High School graduates Anna VanRemoorten and Davis Franklin smile while waiting for the graduation activities to start on Sunday afternoon. DAVID LE/Staff photo. 6/8/14.